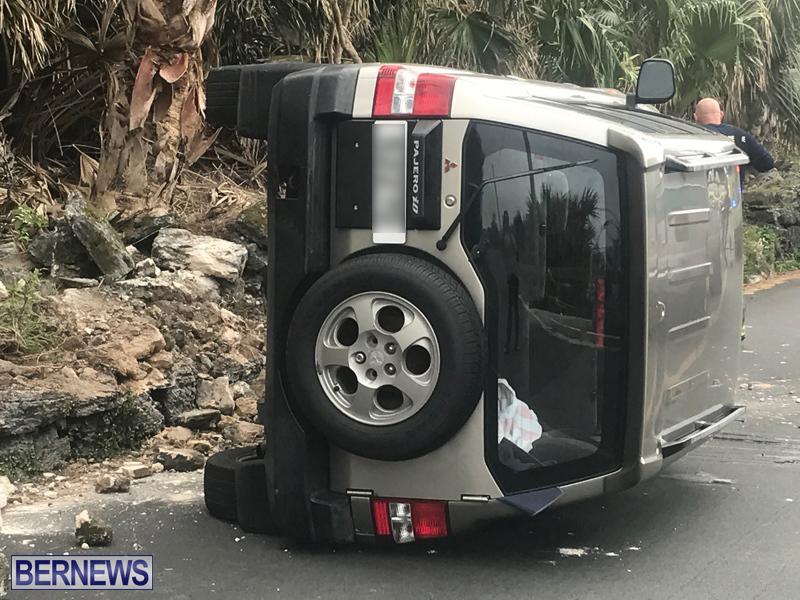 [Updated] Emergency services responded to a collision this afternoon [April 11] on North Shore Road in Devonshire which resulted in the car overturning and landing on its side. 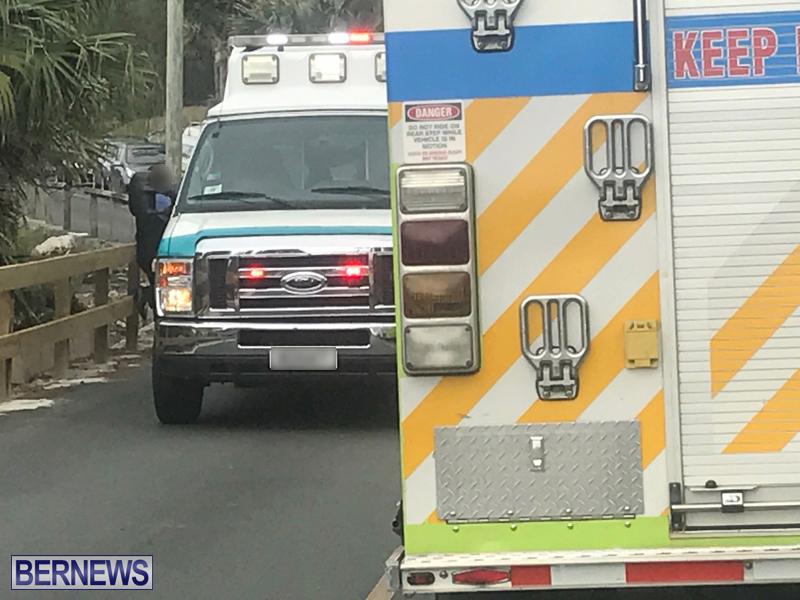 Bermuda Fire and Rescue Service personnel attended to two people that appeared to have minor injuries. Further details are limited at this time, however we will update as able. 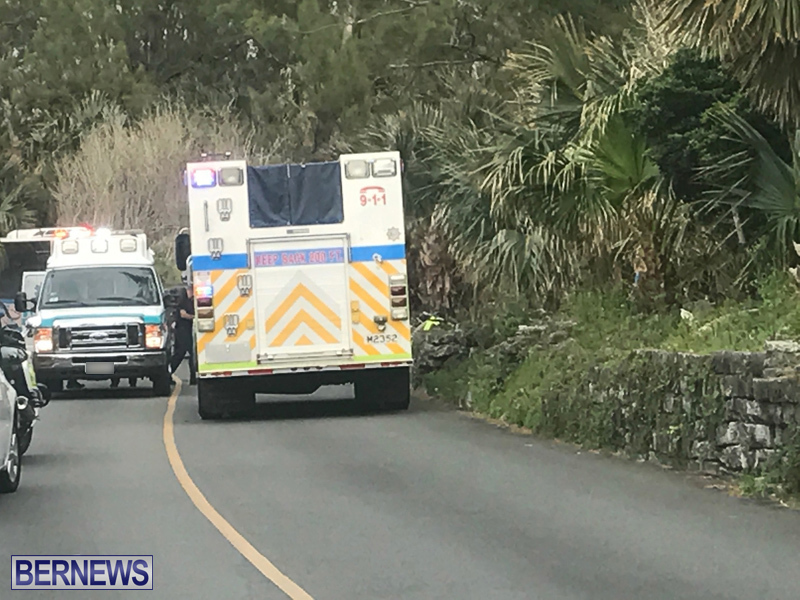 Update April 12, 12.50pm: A police spokesperson said, “Around 4:45pm Wednesday, April 11th police and first responders attended a reported single vehicle car crash on North Shore Road in Devonshire near the junction with Loyal Hill Road. 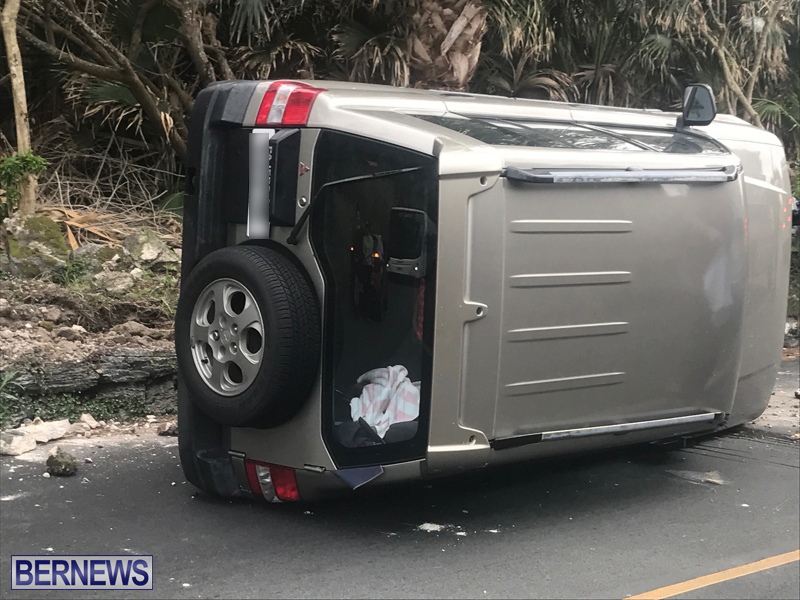 “It appears that the car was being driven in the westbound lane along North Shore Road when it struck an embankment, ending up on its side. 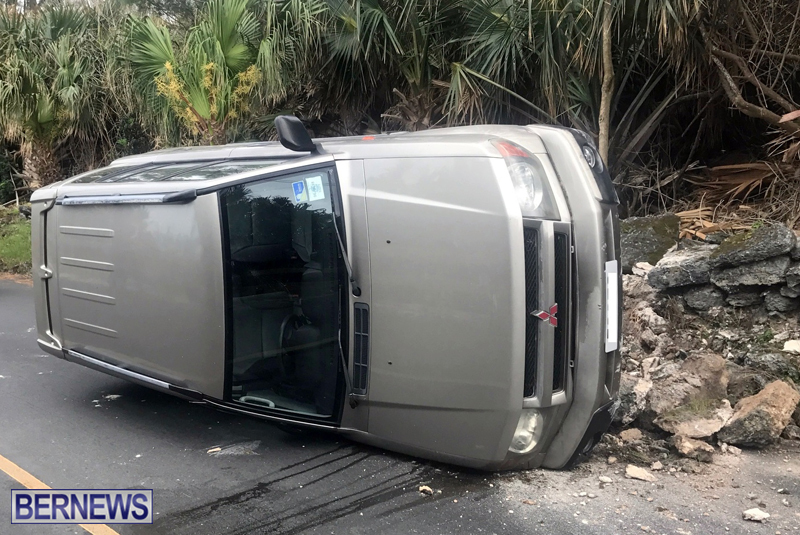 “The driver, believed to be a 58-year-old Devonshire man and his daughter [front seat passenger] were taken to King Edward VII Memorial Hospital via ambulance for treatment of apparently minor injuries and subsequently discharged. 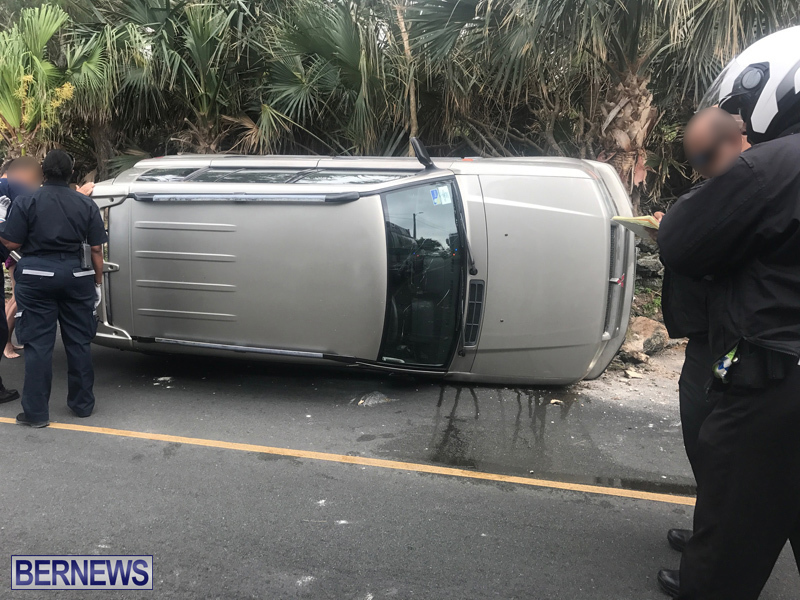 “The damaged vehicle was later towed from the scene. as long as this person NEVER drives again…..
How on earth are all these cars being driven such that they crash and end up flipping to some degree??? Because they can’t drive big vehicles of any type. Let’s all wring our hands and wish for less road acvidents.